Home / American Crafts / Marble Me This! 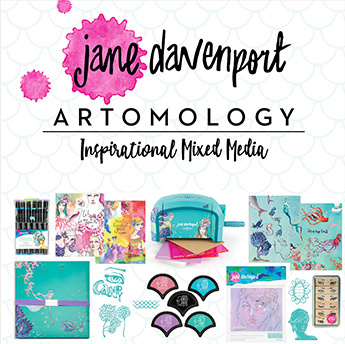 – Jane Davenport Marbling Kit! With the new collection it’s time to use one of the items that looks like the MOST fun! 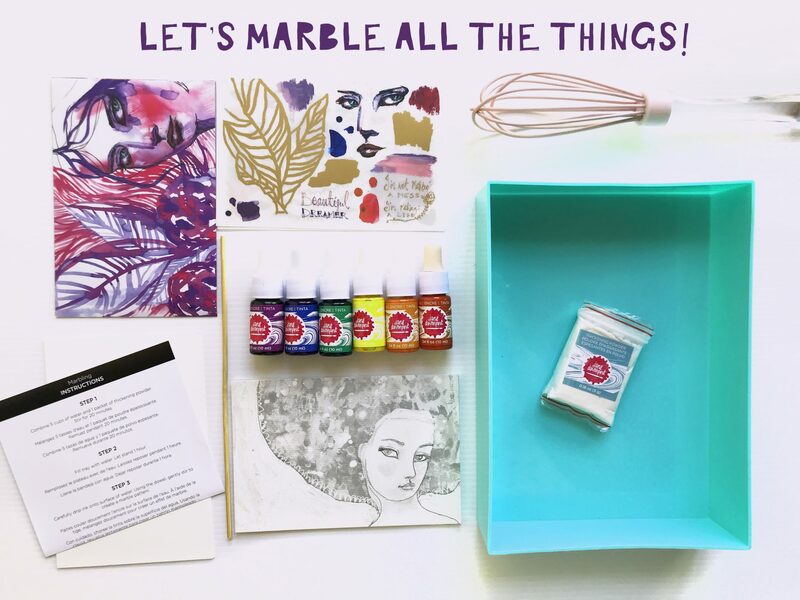 The marbling kit! This is such a fun and whimsical way to creatively play. There is so much you can do with this kit, its full of mystery and uncontrollable adventures (In a good way). You will need a few things though! First up I grabbed a big bowl to add the 5 cups of water and the thickening powder to. 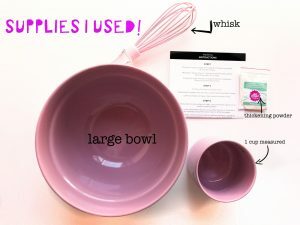 I found it was going to be a bit hard to mix and whisk in the tray so a bowl I needed! 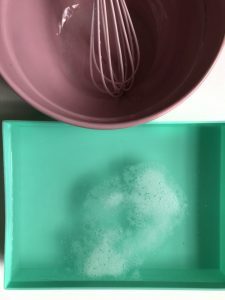 I added 5 cups of water into the bowl and then one sachet of the thickening powder. Then this is one step YOU MUST NOT SKIMP ON! 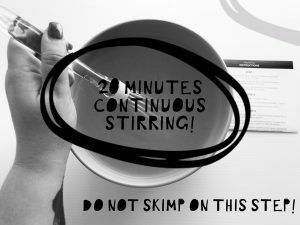 I set a timer on my phone and watched a YouTube video, wasn’t hard to keep stirring and I knew it was a really important step! 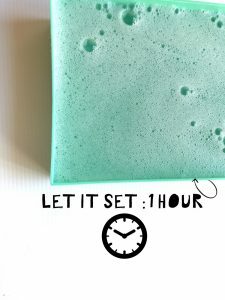 SO ONCE AGAIN… DON’T SKIMP ON THIS STEP! Then its time to pop the mixture into the tray and let it sit for 1 hour. You can see that after an hour most of the bubbles have settled, I let it sit a little bit longer just to be sure, then it was time to start playing! 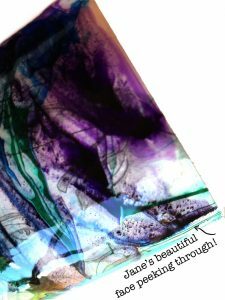 The desired effect is to slowly drop the inks into the mixture and it will sit on top (most times!) if you have followed the steps thus far to the letter the ink should spread out on top of the liquid. I did experience a few drops of the purple falling to the bottom, but only the once. My advice is to work in either warm or cool colours to begin with, then once you’ve done a few prints, play with. mixing in some of the opposite colour families, these results may not be as pleasing to the eyes, but they are are fun! 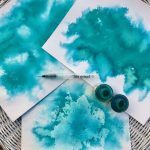 In the kit, Jane has created these wonderful watercolour sheets with her artwork on it as well as some blanks for you to just go nuts on! 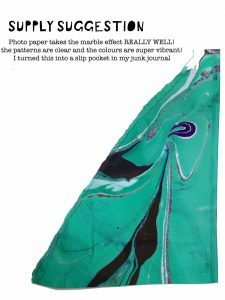 I also wanted to see what other papers would take to the marbling…mermaid mad science if you will! Glossy photo paper was a hit! It latched onto the marble inks I feel the best! The colours were super vibrant and the marble effect was the cleanest! 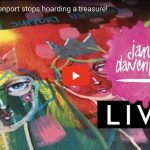 This was destined for my Junk Journal! I turned it into a slip pocket with a touch of clear tape and instantly that little scrap of photo paper experiment is useful and really striking! 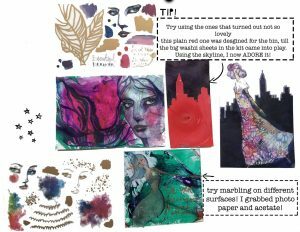 The kit comes with 4 by 6 washii sheets which are sectioned, so you can take an element off the sheet and leave the rest of the design, this way you can add and take away things when using them on your marbled beauties! You can stretch one sheet over several projects which I think its value for money! 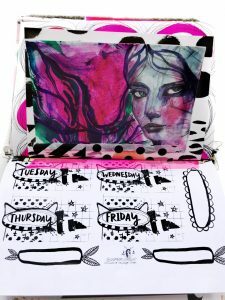 The kit also comes with several rub on sheets too filled with really adorable designs that match the themes of the prints and washii. 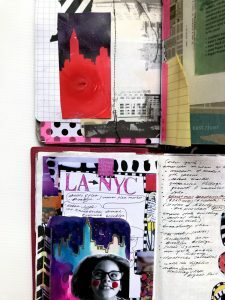 If you have some prints that you’re not fond on, use the washii sheets to jazz them up, I had a plain red tip in card destined for the bin but I took the New York skyline section off the washii sheet and now I ADORE IT… It lives in my travel junk journal ready for our trip overseas next week! 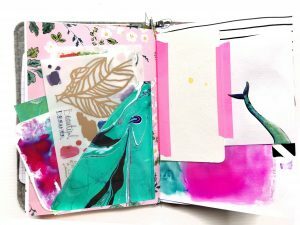 One last transformation for you….if you’ve made some marbled journal fodder you just adore and know right away you will hoard it, my advice is to scan it, (this is the marbled papers only, not the journal cards included within the kit as that breaches copyright!) I took some of the plain marbled items I created, one I loved and one I was not fond of at all, and scanned them to play with digitally. As you can see, one looks identical to the original, and one doesn’t. The one on the right, I hated the colour combinations, but loved the patterning, so I changed all the hues around in photoshop to get a colourway I was more happy with, then I layered it under some graphic prints I had made previously to create some really fun background journal papers for me to use at a later date in my journals. 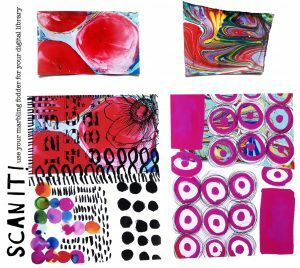 The one on the left I ADORED the big bold red blobs made me happy and I knew I wanted to be able to use it more, so I scanned it to have a hard copy on hand for when I wanted to use it, again layering it under some graphic prints to create some journal fodder printables for me to use in my junk journal! Everything can be used, no matter if you hate it! 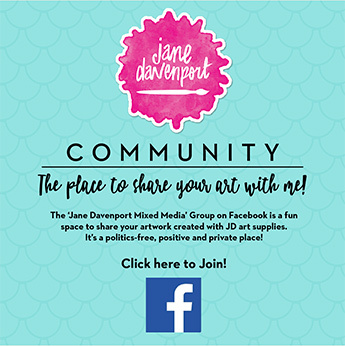 We as artists can change and morph anything if we have enough patience and insight! 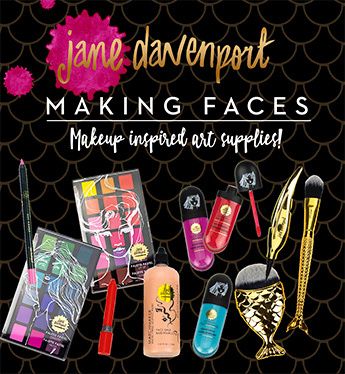 I hope this has shown you some fun things you can do with this kit! It would a fab gift under the Christmas tree that’s for sure! The kit comes with several powder pouches so you can do many pours and believe me you can get many prints from one session, I had paper everywhere! 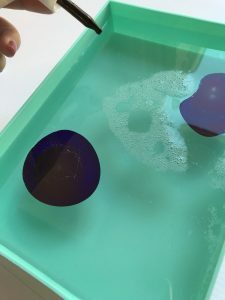 Have fun with your marble kit!